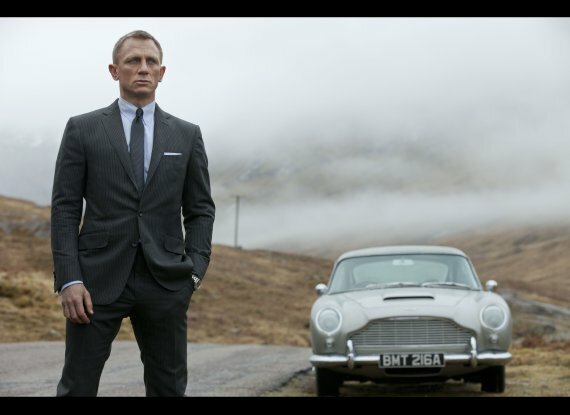 Aston Martin will be involved with Bond 25, the company’s CEO told CNN. The executive, Andy Palmer, apparently was interviewed for the world feed of the news network. The CNN interviewer, Anna Stewart, posted an excerpt on her Instagram account. There have been stories, including one in the Financial Times, that an executive of Lotus, Phil Popham, said he’d like to see his company reunite with 007. Lotus figured in The Spy Who Loved Me (1977), where the car supposedly converted into a submarine, and For Your Eyes Only (1981). Aston’s history with the 007 film series goes back to 1964’s Goldfinger. Aston Martin became a publicly traded company this week. “The share price fall on Wednesday left the 105-year-old firm, James Bond’s favourite car marque, with a market value of just above £4bn, sharply lower than its initial hopes for a price tag of over £5bn,” according to a story in The Guardian.